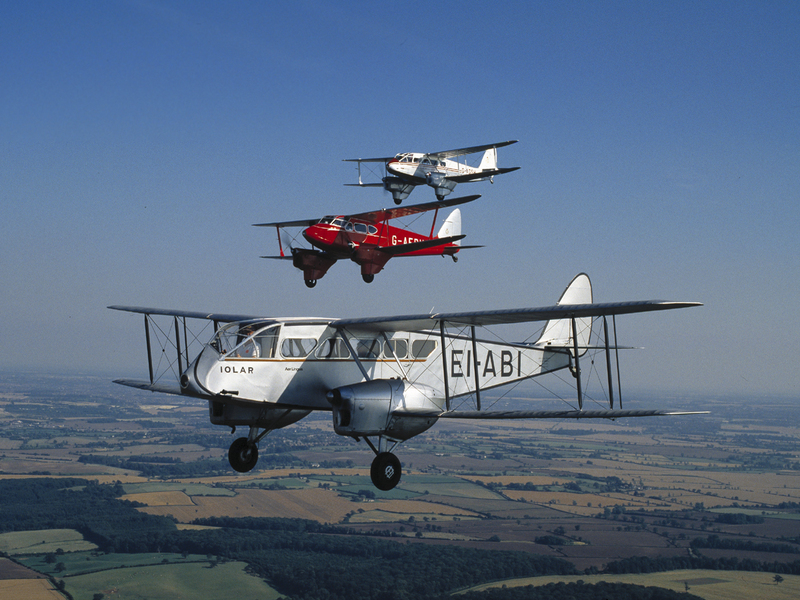 This was a formation that caused quite a stir when it was seen overhead the De Havilland Moth Club event at Woburn Abbey a few years ago as it had not been seen for 60 years, if ever! Closest to the camera is the DH84 Dragon owned by Aer Lingus which was removed from display hanging from the ceiling of the airport terminal building in Dublin and restored to flying condition to celebrate the airline’s 50th anniversary. Behind is the DH90 Dragonfly belonging to Torquil Norman and then the DH89 Rapide of Philip Meeson. The camera plane was another De Havilland aircraft – a Tiger Moth.